Apparently the judge in the Caner vs. Autry lawsuit doesn't like being lied to by Ergun Caner and his lawyers any more than us recalcitrant bloggers. Perhaps the judge is a Calvinist or a Muslim - he must be to dare take Caner and his lawyers to task. The judge in the case, Norman K. Moon, issued an order in the "Caner vs. Autry" case last week, ordering Ergun Caner to comply with the United States District Court rules requiring his attorney to obtain "pro hac vice admission" to the court so that the case may proceed. This simply means Caner's lawyers have to jump through certain hoops in order to have the ability to argue the case in Virginia since they are not a member of the bar in that state. Simple matter, right? Apparently not so simple. The original deadline for both Autry's and Caner's lawyers to obtain pro hac vice admission to the court was February 18th. Autry's lawyers complied. Caner's did not, and requested and received an extension until February 28th. Then, according to Moon's order, a deputy clerk contacted Caner's counsel on March 5th about the matter, and were told by Caner's counsel that the necessary documents "were in the mail". Then on March 6th Caner's counsel told the court there was a "conflict" and needed more time. "It is now March 21, 2014, over one month beyond the original deadline, and this Court has no concrete indication that Plaintiff intends to do anything but delay. 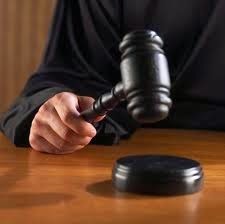 Therefore, Plaintiff is hereby ORDERED to arrange pro hac vice admission to this Court within seven days of this order’s entry so that the case can proceed forward, or SHOW CAUSE why this Court should not dismiss the case or impose other sanctions for Plaintiff’s failure to prosecute and failure to follow the Local Rules." The judge has spoken. OK, maybe minor legal matter as compared to the lawsuit itself. But not good for Caner before the lawsuit proceeds to be making the judge upset, and not telling the truth to the deputy clerk. It is one thing to tell fibs to churches about learning of American culture while watching Turkish television as a child - it is another to tell a fib to the deputy clerk. I want to take this opportunity of this post to speak a word about Jonathan Autry, the man being sued by Ergun Caner in the lawsuit I reference above. I urge all of you that are members of a SBC church in Georgia, or that are alumni, students, and supporters of Brewton-Parker College, to read Jonathan Autry's court pleading entered last fall. I have embedded it below. If you don't want to read all of it, please scroll down and read pages 14 and 15. It is shocking. As you will read in his pleading, Autry is a born-again Christian who was offended by Caner's lies to our Marines and to churches throughout the United States for nearly 9 years. Autry published religiously-based criticism of Caner using video clips of Caner's own words. Autry was a student at the Liberty University seminary while Caner was president. So for his posting of these videos, Autry is being sued by Ergun Caner. You will read in Autry's pleading that as of the filing made last November, he was unemployed, a father of three minor children, and lacks the financial resources to put up a defense to Caner's lawsuit. Why Aren't Church Members Giving? Pastors Say Because Members are "Spiritually Complacent" and Just Don't Understand "Biblical Generosity"
Churches everywhere are hurting. Membership is declining, giving is down, and most churches are behind 5% to 15% in their budgeted receipts. Mega churches that built huge worship centers in the 1980s and 1990s, now are facing the expense of rising utility costs and the cost of repairing aging buildings. Some prominent churches are cutting staff, reducing what little ministries they WERE doing for the community, and struggle to pay their bills and salaries. I know. It is happening right here in Jacksonville, Florida. Yes, the members are just not spiritual enough. Of course, how much money one gives to their church is a measure of spirituality, right? Not their devotion to their family, their career and profession, how they treat their wives or their generosity in giving time and money to their community. Nope. It's all about the Benjamins - and how many of them you are putting in the offering plate. Pastors actually believe spiritual complacency is the number one "obstacle" to the churches getting the money they need for their buildings and salaries. "Inadequate Understanding of Biblical Generosity"
This is ironic. I would say that the reason for the decline in church giving is the exact OPPOSITE of these two reasons. You see, Christians are wising up. They are realizing churches are poor investments for their charitable gifts. They are waking up to the reality that their church is NOT the "kingdom of God" as pastors are trying to make members believe. The majority of the money given to churches is spent on professional clergy salaries and benefits, and on buildings that sit empty 6 days of the week. Not on actual ministry - at least ministry as defined by Jesus. So it is not spiritual complacency, it is "spiritual maturity", pastors. Deal with it. And make no mistake, when most evangelical holy men refer to "biblical generosity", they are referring to the idea that people must give a minimum of 10% of their income to the 501(c3) religious organization in order to be "obedient" and completely committed to Jesus. So to say members don't have an adequate understanding of biblical generosity, is to say they just don't understand the biblical concept or storehouse tithing. Hence, you get wacked-out sermons like this one from Ronnie Floyd, or the many we've highlighted here from Steve Gaines. There you go. Pastors need more money. So they will come up with ways to "cast the vision" to fund the ministry. Sound familiar? Has your pastor recently "cast vision" recently that involved your pocketbook? Of course. How will pastors be doing this? What strategies will they use? Gimmicks. Tricks. Cons. All sold as "visions" from God. But the people in increasing numbers are catching on, with the help of social media and bloggers who are exposing their methods. So stay tuned! More to come on this topic! Jeff Dickerson, a graduate of Brewton-Parker College and an Atlanta attorney, has tendered his resignation from the National Alumni Board of the college. 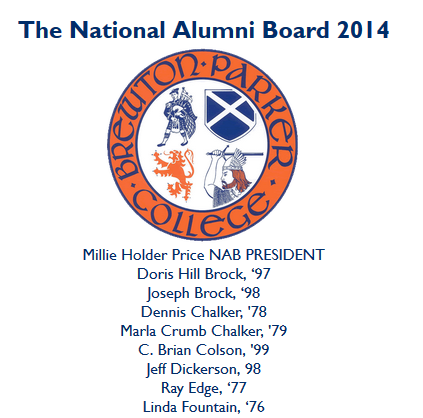 You can see Dickerson's name listed here on the Brewton-Parker website as a member of the board. I'm sure it will be removed very quickly. I have captured a portion of the NAB member list showing Dickerson's name before it is removed today. Ergun Caner and the Integrity of Baptist Institutions (by Associated Baptist Press). Bravo for Dickerson. Dickerson is no Muslim, he is no blogger in his mother's basement, nor is he a Calvinist. No, he is a defense attorney for a prominent law firm in Atlanta that is sorely disappointed that his college has gone off the deep end and hired Ergun Caner. Meanwhile, to make things worse for Brewton Parker grads, students, and Georgia Baptists, Ergun Caner provided his "vision" for Brewton Parker in an interview he gave to Gerald Harris. This "vision" has to leave all those associated with Christian education scratching their heads - including the members of the Southern Association of Colleges and Schools (SACS) who will be visiting Brewton Parker any day now to re-evaluate Brewton Parker's probationary status. "Brewton-Parker has had some financial issues and athletic issues, but there is not one thing that can’t be solved by an altar call, by a revival." "..had failed to demonstrate compliance with Core Requirement 2.11.1 (Financial resources), Comprehensive Standard 3.10.1 (Financial stability), Comprehensive Standard 3.10.3 (Control of Finances), and Federal Requirement 4.7 (Title IV program responsibilities) of the Principles of Accreditation. To continue as an accredited institution, despite failing to comply with the standards, the institution was able to meet the provisions of good cause. Maybe I'm wrong, but I'm not sure what "altars" and "revivals" have to do with any of these problems cited by SACS that, if they are not corrected by now, could result in Brewton Parker losing their SACS-accreditation this June. "We’ve got to invert the order of our priorities....The most important thing is not the degrees we give or the classroom; it is the altar. The classroom will take care of itself if you’ve got an altar, if you get the students back. " What does that even mean? What is SACS supposed to think when they read the president of Brewton Parker uttering such unclear "vision", claiming the classroom will "take care of itself" if you get the students to "an altar"? "I had rather cancel class and have chapel go on all day. I had rather have an all night cottage prayer meeting than have a symposium. We are going to have education that is focused on wisdom more than knowledge. Anybody can give you knowledge, but only God can give you wisdom." Of course. Chapel over class. "Cottage prayer meetings" over symposiums. I doubt SACS is familiar with "cottage prayer meetings". If they aren't, here is how to conduct a "cottage prayer meeting" according to the Tennessee Baptists. "I want to see Brewton-Parker brought back to its glory days – to a invitation-giving, soul winning, sinners’ prayer leading, hope-to-a-local-church, inerrantist, general atonement, mission obsessed ministry." But Caner knows this is all just religious-speak red-meat to the Georgia Baptists. Caner knows that retaining accreditation is not about altars or chapels or "cottage prayer meetings" or revivals. It is dedicated educators implementing systems in the college that will meet SACS standards - which I'm sure has been going on by dedicated staff and educators at BP way before Ergun Caner was dumped in their laps. But if BP does retain their accreditation, Caner will likely claim victory, that God did it because Ergun Caner came on the scene to save the day and lead them "back to the altar". If BP does retain their accreditation - which they probably will - it is because of the leadership of the school before Caner and those on staff working hard to correct the deficiencies. Not because of altars or revivals or a miracle of God. I would say this: Georgia Baptists ought to get to an altar and have a cottage prayer meeting - so they can pray for Brewton Parker's future under the leadership of Ergun Caner. It was recently announced that Ronnie Floyd, megachurch pastor of Cross Church, will be nominated for the presidency of the Southern Baptist Convention by none other than Al Mohler. As I have already written about, just a few weeks ago Ronnie delivered a sermon to get his church members to believe that unless they fork over 10% of their income to their church, they are probably not real Christians. And to make his point he did not quote the Bible, instead he quoted the most abusive first-fruit-tithe-teaching pastor that is out there now: Robert Morris. 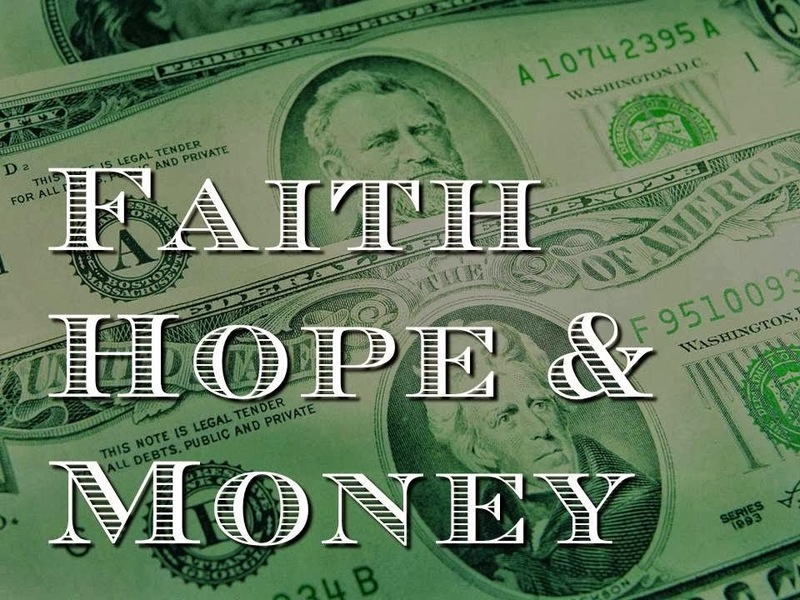 "Pastor Robert Morris says 'it's a real shame that Christians don't believe the importance of writing the first check [10% of your income to your church] because God is the one we value first. God is the one we respect first....God is the one we fear first. It's not the mortgage company we fear first, it's not the U.S. government fear first, we should live our lives fearing God first." This is Ronnie's mistake: he thinks "giving to God" means "giving to Ronnie's church". No, Ronnie, when I put my family first, and I pay my rent, and my insurance, and my kid's college tuition, and pay for my family's food and shelter FIRST, it means I place them above your 501(c)3 institution. It doesn't mean I don't fear God, or that I don't respect God. And the truth is, as Wade Burleson points out in his article today, this is what more and more church member are realizing, and it is why people are leaving church. 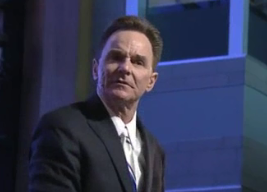 They realize men like Ronnie Floyd are trying to manipulate them into thinking their church IS God's kingdom. But Ronnie wasn't done quoting the wonderful Robert Morris, who as I said without question the worst of the mainstream evangelical first-fruit tithing abusers. Morris says non-tithers are arrogant, thieves, and subject to demon possession. He says do not pay rent or electric bill until you first give 10% to your church. He says church members must tithe to avoid divorce, or losing their kids or jobs to the devourer. Go to those links. Watch the video evidence of his teaching. This is the man Ronnie is quoting to his church as the premier expert on biblical financial principles. "He writes a book called 'The Blessed Life'. 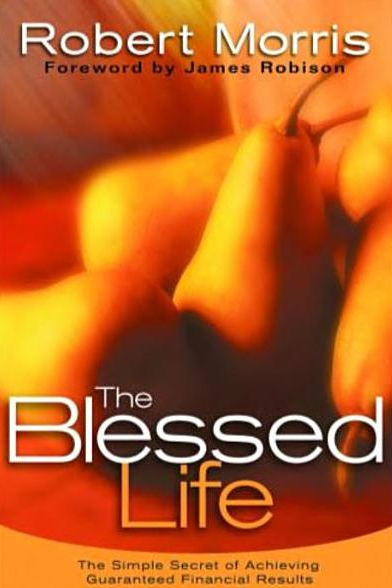 You never read 'The Blessed Life"? You oughta get a copy of 'The Blessed Life'. It's one of the greatest books on financial matters that I've ever read." Wow. 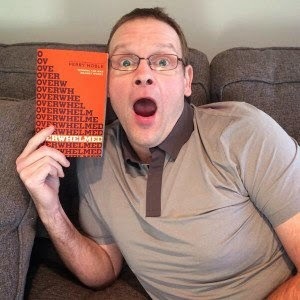 Do SBC'ers know what is in this book? Ronnie says it's the best book he's read on finances. Only two explanations for that endorsement: either this is the ONLY book on finances Floyd has ever read or remembers reading, or by "best" he means "if my members will believe this nonsense in this book I can double or triple my church's revenue". Take your pick. 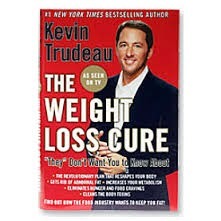 But this book has a tagline at the bottom which says: "The Simple Secret of Achieving Guaranteed Financial Results." This is health and wealth prosperity teaching. The book teaches people the concept of "first fruits" giving, that God requires the very first 10% of a Christian's income to be given to their church. This is not a recommendation - this is a requirement, for Morris teaches in this book that if you DO give 10%, God will bless you financially, "guaranteed". And God will "rebuke the devourer" - you know, like the mafia boss protecting your business if you share the profits with him. But if you do NOT give 10%, you are cursed by God, and God will not prevent "the devourer" from hurting you, your children, your spouse, your marriage and your finances. You think I'm exaggerating. No, this is what Morris teaches in the book, and what he teaches from the pulpit. And Ronnie Floyd is pushing this nonsense on his congregation..
"Robert Morris says these words: 'When God blesses you when you give the first fruits, being blessed means you're having supernatura power working for you'. Listen carefully, he says then 'By contrast, being cursed means having supernatural power working against you." "When we honor the Lord with the first fruits, then I've got the supernatural power of God working for everything else in that bucket. But listen: if I don't wanna honor God with my first fruits, then I've got the supernatural power of God working against me and my buckets." Yep, don't give 10% to Ronnie's church, and God is going to work against you. You're "cursed". When you get right down to it, this is about as anti-Christian of a message as you can get. As one writer said recently, to say you will be cursed if you do not tithe is really to publicly mock the work of Christ on the cross. Ronnie surely knows Galatians 3:13, where Paul says "Christ redeemed us from the curse of the law by becoming a curse for us". So not only does Ronnie spit on the work of Christ with this teaching of the "supernatural power of God working against you" if you don't tithe, but he does it in the most arrogant and condescending way throughout the entire sermon. Watch him strut around and hoot and holler and point and bellow, here at this link. Or if you don't have 50 minutes of you life to waste, watch the 3 minute clip below. And that, ladies and gentlemen, will likely be the next president of the Southern Baptist Convention. I think that is perfect. The SBC deserves a man like Ronnie - a man whose search for revenue at his church ultimately harms the faith he professes. And this is the man the SBC will likely get as their next president.